Merry Christmas and a Happy New Year to all of you! I hope your holidays have been filled with lots of family, friends and fun. December was not a very productive month as far as patterns go for me. I had some dental surgery at the first of the month and have been filled with orders and trying to get things ready for Christmas. We have been very blessed this year. While we sure have had some scary moments, the blessings far outweigh it all. My girls are growing so fast and I love watching them and being able to spend time with them. My oldest will graduate from High School this year and turns 18 in January. Wow- Time has just slipped by. 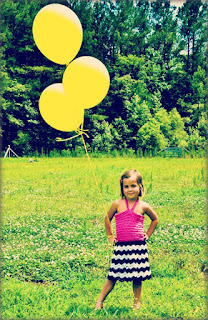 My next daughter will start kindergarten next year, so there is a huge gap in age but they all love each other so much! 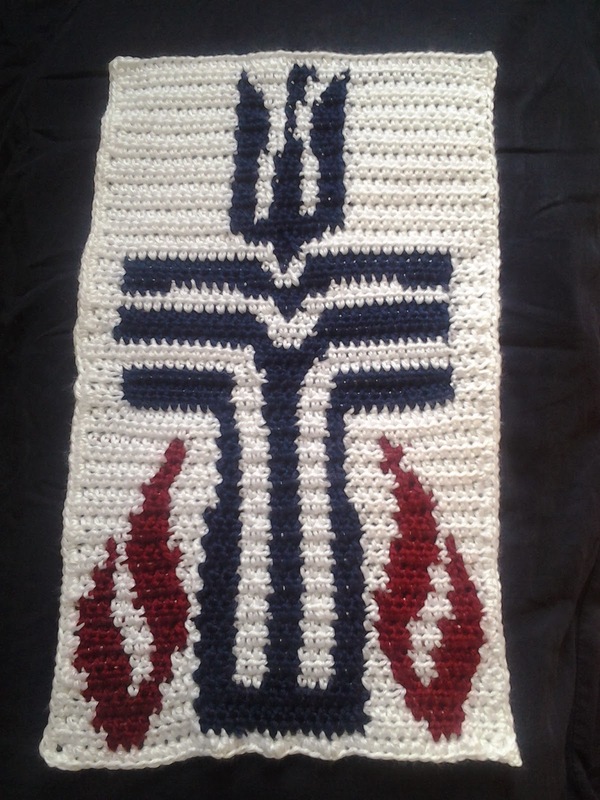 Now that the orders are almost finished (only 2 requests to go), I have set a goal for the new year. I will be highlighting the many wonderful women I have come to know in the craft community and hope you enjoy getting to know a little about them. 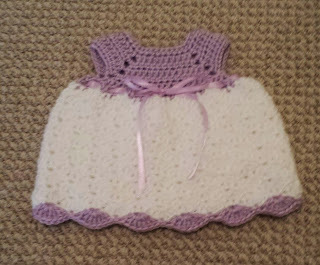 I am also getting back to patterns and will continue to design a wide range of sizes. While my girls are little and enjoy dressing their dolls, they think it's fun to dress the same as them, so I will be designing American Girl sized clothes to go with the larger sizes. 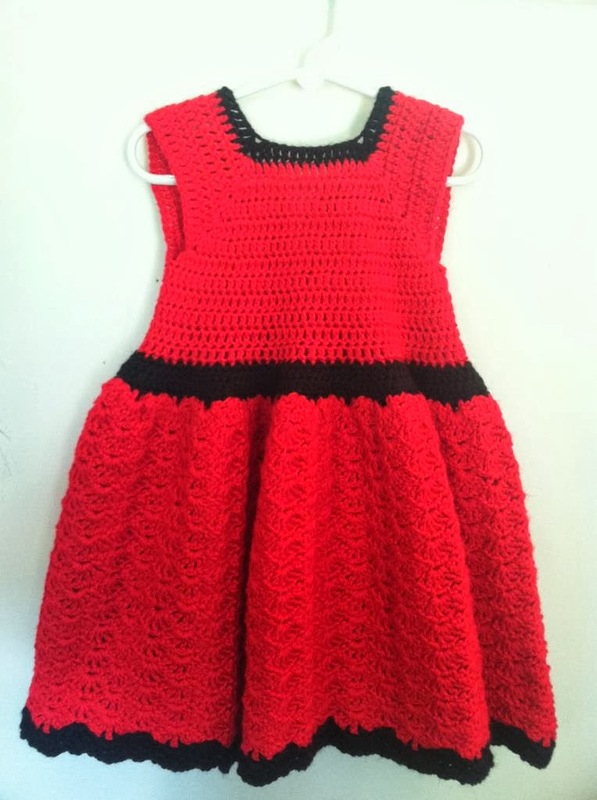 This is the dress that will be my 1st release for 2014. 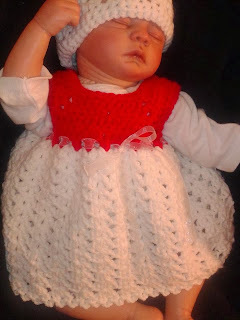 The doll size is being tested right now while I work on the larger sizes. More exciting things are on their way, so stick around and let's have some fun! 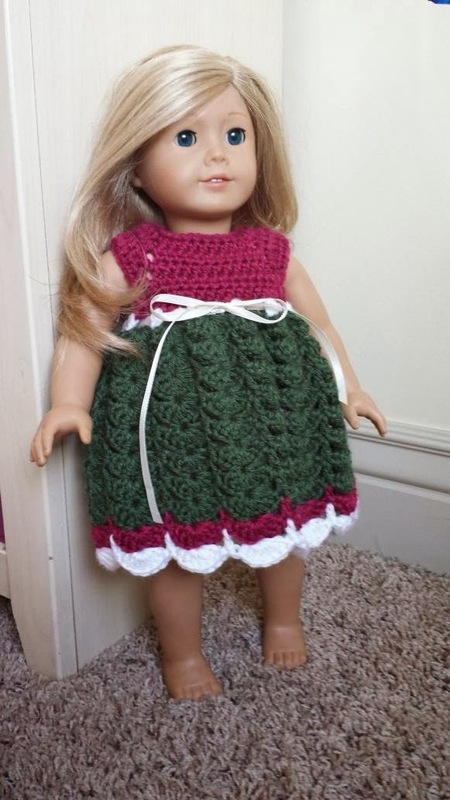 Last year for Christmas, my husband's dad gave my 2 toddlers the generic version of the doll and his wife sewed a bunch of clothes for them. 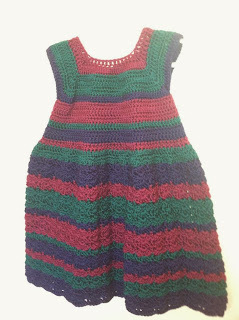 I have thought about designing this size dress to match my dress patterns for quite some time, but always seemed busy with other things. I finally slowed down a little and decided it was time to get it done! 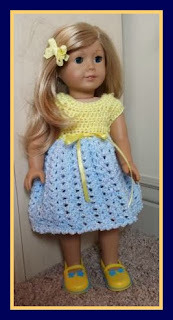 I have released my 18" Doll Dress collection that will match 5 of my Basic Infant and Toddler dress patterns. This size is great for American Girl dolls, Generic 18" dolls and Preemie babies. 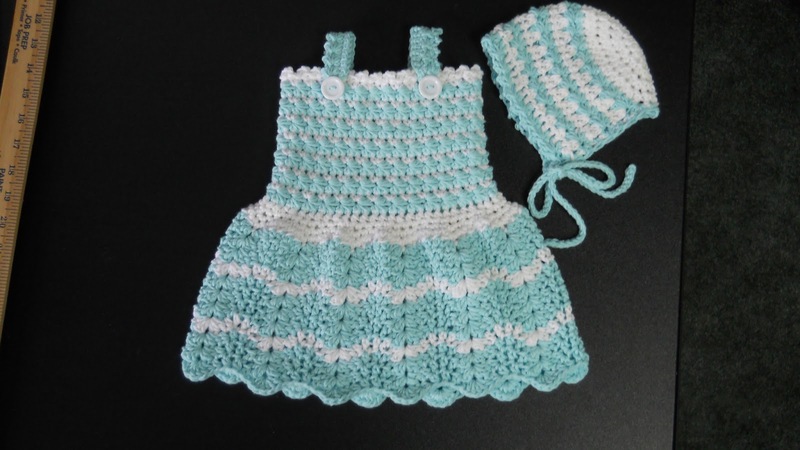 This set includes the Oh Snap, Snap Dragon, Diamond, Baby Tay and Shell Brook patterns. 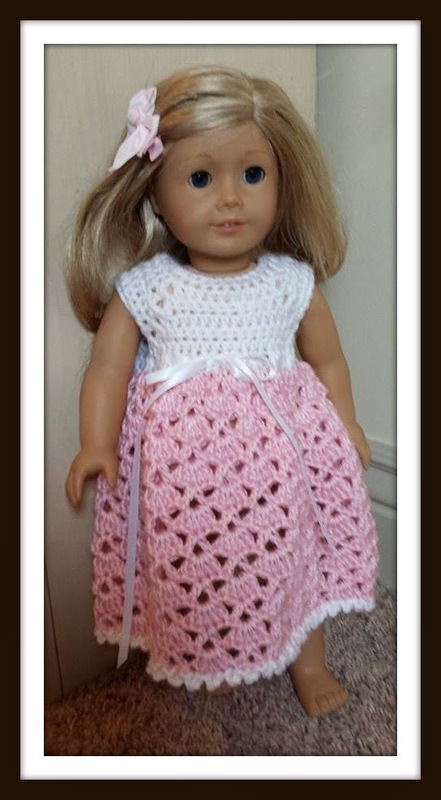 My girls were so excited for new dresses for their dolls and the best part - they can wear the larger versions of the pattern and it's a perfect "Mommy and Me" deal! The normal price for the collection will be $10.50, but for you wonderful friends, I will leave it on sale for $3.99 until December 15th. 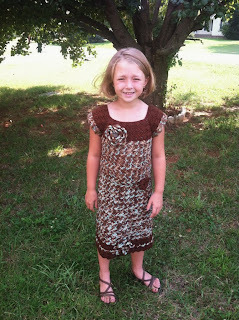 Over the past 2 years, I have had a group of ladies test my patterns. I have come to know them well and consider them my friends. I've seen their ups and I've seen their downs and they have supported me through my struggles. Recently, one of them passed away. Her name was Emma and she was a sweetheart! She had every one of my patterns and made so many of them in a beautiful array of colors (her favorite colors were red and black). While we were working on the infant dresses, her little girl would ask if I would design some that would fit her...and so I did. 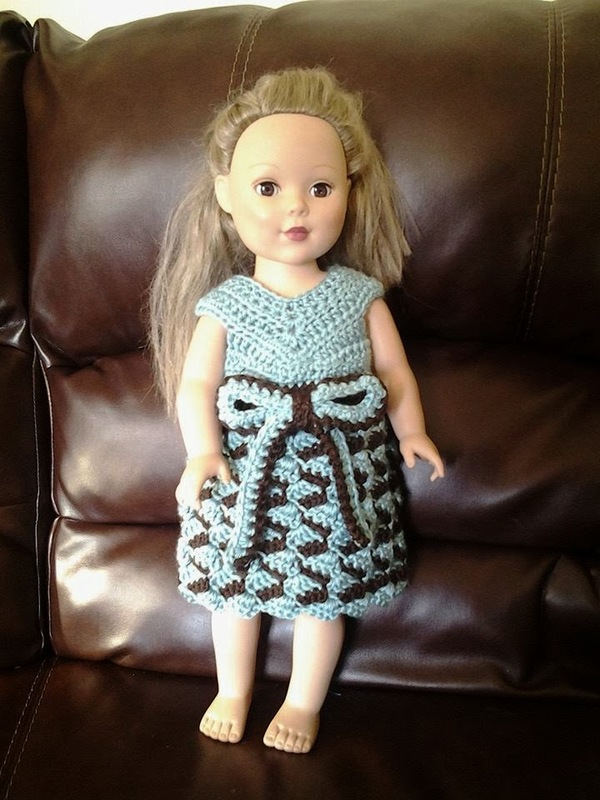 She is a doll and I loved seeing her in my designs - but even more happy to see the smile on her face for having something that her mom made her. My heart aches for her family and I tear up every time I see something on my computer that was hers. 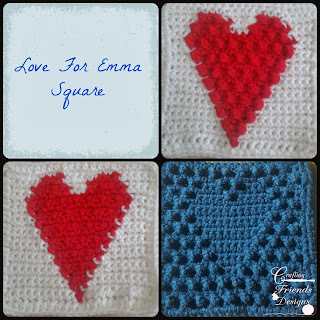 Though I never met her in person, I miss Emma and her comments about getting a Coke from McDonalds and seeing her photos of crocheting at her daughters softball games. 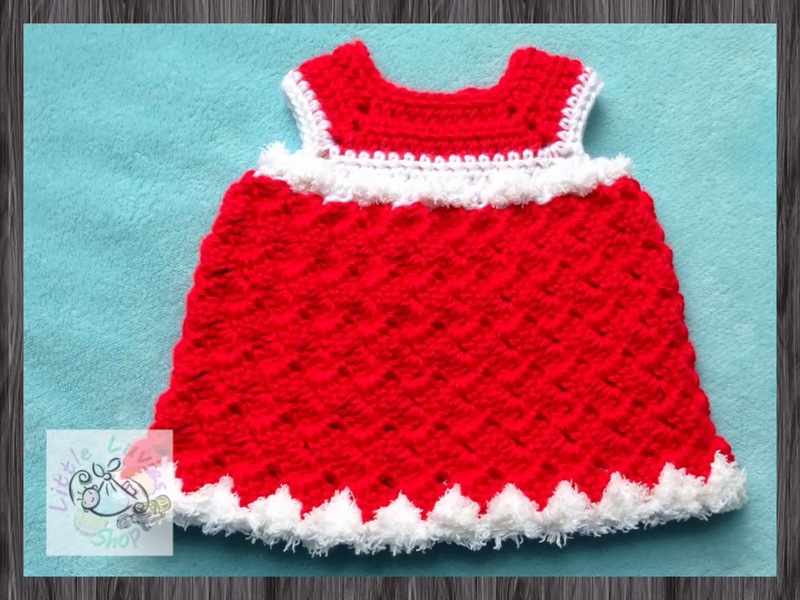 You do have permission to sell finished items using my patterns. Border: Ch 4, Turn to work down the side. HDC in side of end st and evenly down side of square (HDC, Ch2, HDC) in corner st, Turn, HDC between each st of bottom foundation, (HDC, Ch 2, HDC) in corner st, HDC evenly up 2nd side of square, (HDC, Ch2, HDC) in corner st, HDC in each st across top of square. Sl St to beginning ch 4 to connect. If you are familiar with using graphs, each black square on the graphs on the following page represent a TR and each blank square represents a SC. The written instructions are for the top graph only and for a single color. If a 2nd color is wanted, you will switch colors for the TR stitch section and switch back for the SC sections. The second graph is an optional square that is the opposite of the first one as far as texture. 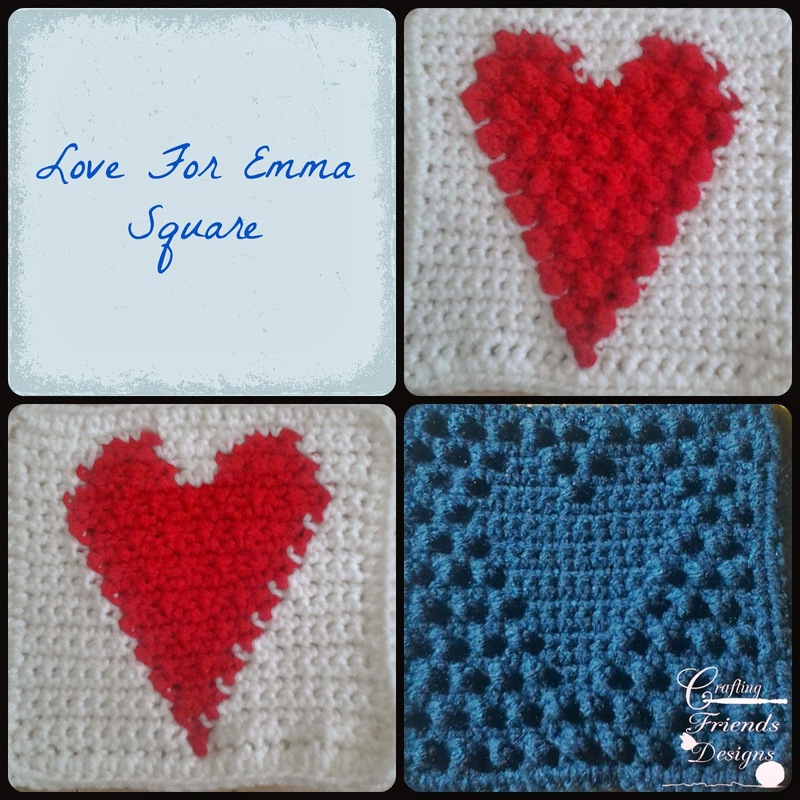 Here is some of Emma's beautiful work I wanted to share with you. Last month, my 2 toddlers took a lamb to the county fair. Now, I had never heard of it prior to this, but my husband talked them into doing the little peewee lamb show. The kids dress up and so do the sheep. I did what I do best and crocheted their costumes :) Brook was Minnie Mouse and I made a cape and cap for her lamb to be Mickey Mouse. 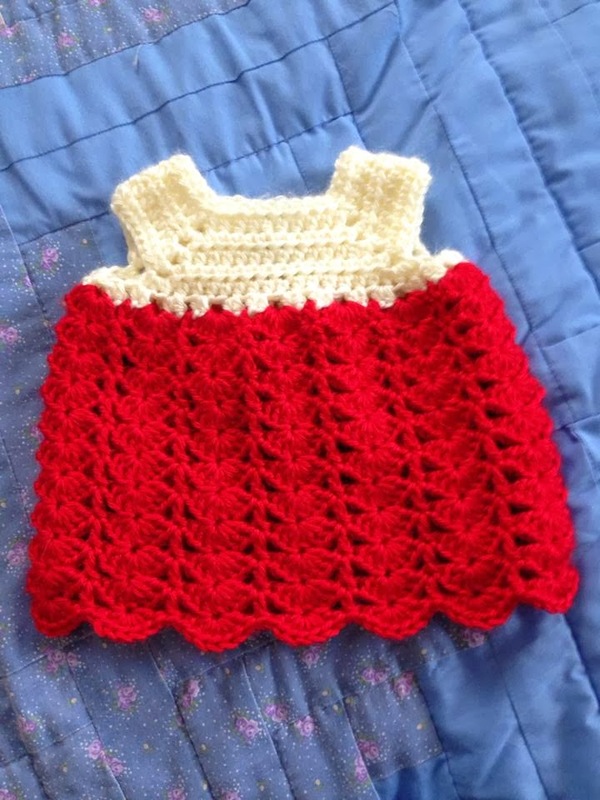 Taylee was Little Red Riding Hood and I made a cape and cap for her lamb to be the wolf. They turned out really cute and as soon as I figure out how to load the photos from my new (old) phone, I will post them for you to see. 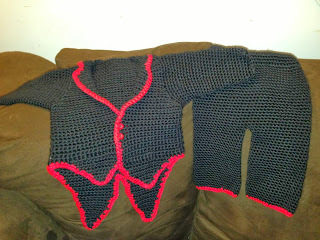 From this, I ended up designing the Riding Hood cape and the girls really like it. 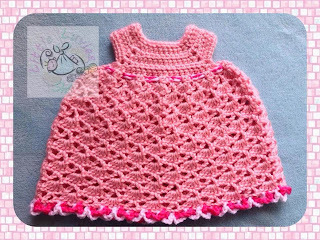 That is how the Diamond Capelet came about. 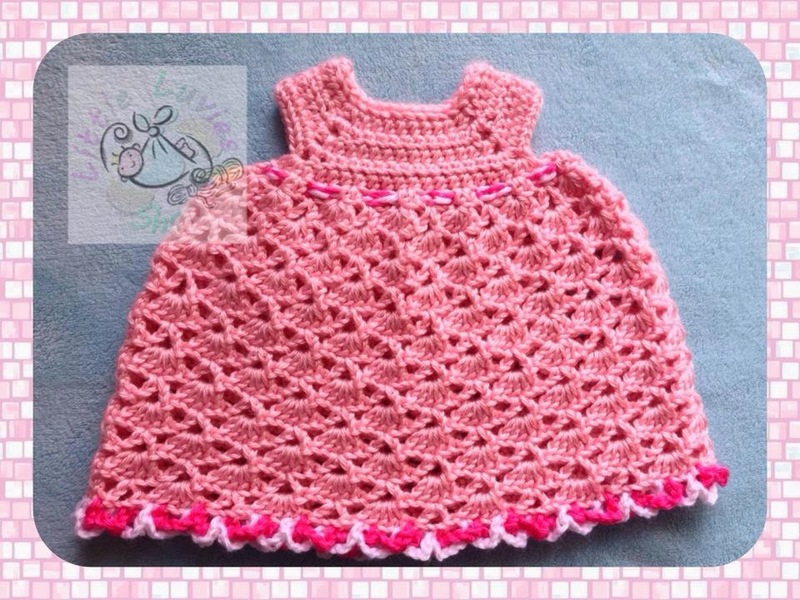 It's now available here: Diamond Capelet on Craftsy for instant download. To make mine a hooded cape, I used the Cora Couture Bonnet from Loops of Love and just made it larger than the size needed so that it would fit better stitched onto the cape. 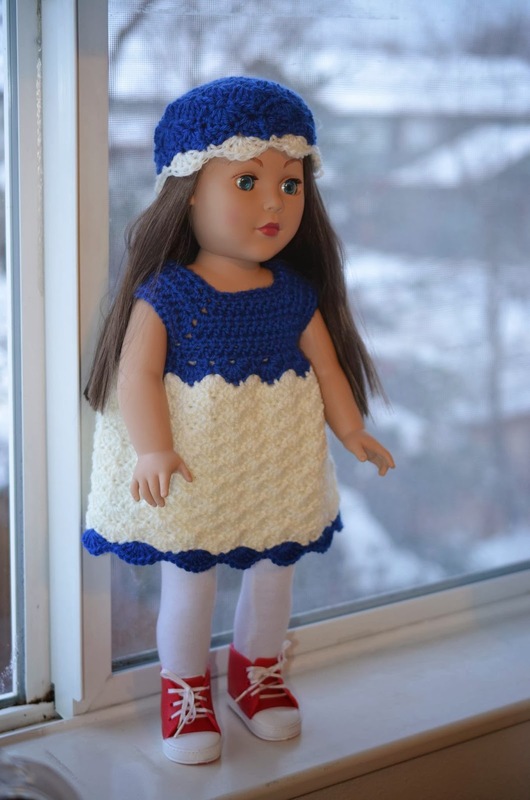 Another fun option - especially for Christmas time is the Diamond Edge Stocking Cap by Little Luvies. 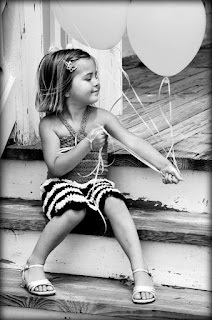 Happy Weekend my friends! I hope you are able to get out and enjoy a little fall weather. It has been a typical fall here with sunshine and rain and that crisp, clean cold air in the morning - Love it! While I don't care for cold or driving in the snow with crazy people who don't know how to drive in the snow, I do love winter. To me, it's wonderful to have the definite change of seasons because it makes you appreciate each one a little more :) Plus, I love Thanksgiving and Christmas time. Very Family oriented holidays for us and I love my family! So, now is the time everyone is starting to get their ideas going for Christmas presents. I'm going to start my Christmas contest on October 1st and end it on the 31st. 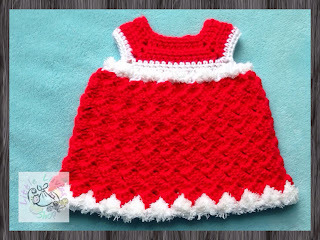 This will give everyone some time to work up some Christmas outfits and also give the winner some time to use their prize. We haven't had a big support for this contest (I'm a little surprised), so if this one does not get much response, I will not be continuing them. If we do get a great response this time, I may throw in some extra prizes, so help me spread the word and get as many projects in this as possible. 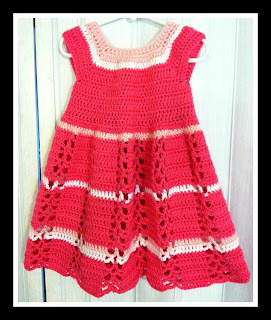 1.You must use one of my patterns to make a "set". You could use the Bubble Sweater pattern and then make a pair of booties to go with it, or a dress pattern and make a bonnet or hat to make it a set. It must be Christmas/Winter themed - whether it is a Christmasy color or you use a santa hat or elf shoes, Mrs. Claus cape, etc...it's up to you. 3. Your items do not need to be modeled. You are welcome to share good photos of just the items themselves. 4. Entries need to be emailed to me no later than Oct 31st to be included. 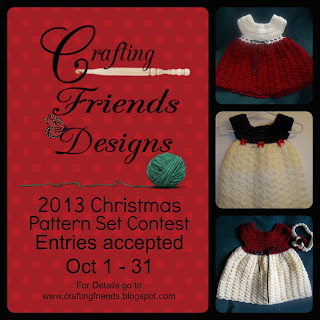 Please include the pattern info with your photo and use 2013 Christmas Contest Entry in the subject line. Entries will be judged and a winner will be chosen the first week of November. Winner will be given $25 through paypal to use how ever they prefer. 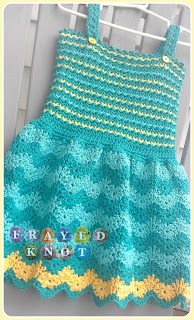 To give everyone a chance to get the pattern they want to use for this contest, I am offering 50% off all of my patterns through Sept 28th from Crafting Friends on Ravelry. Good Luck Everyone! I can't wait to see all the amazing sets you make. 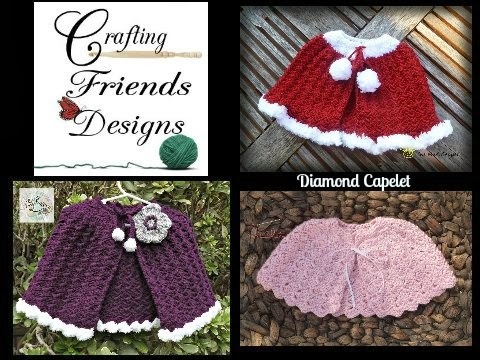 If you need any suggestions on accessory patterns, feel free to email me or contact me through Crafting Friends on FaceBook. Francie Christensen of The Mad Capper She will receive her $25 to her choice of Etsy, Michaels or Ravelry. 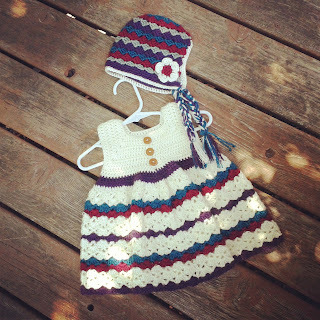 I love her choice of yarn and this is a beautiful set! She used the Kate Bonnet by Crochet by Jennifer and paired it up with the Lemon Lime Skirt. Thank you to everyone who entered this contest. 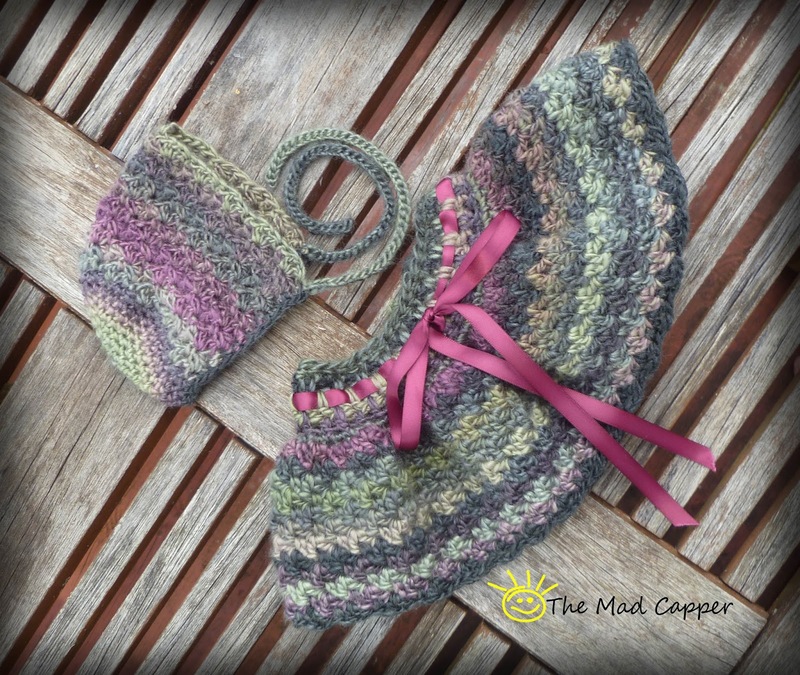 You will each receive your choice of 1 pattern from my shop for entering. You all did a great job and I look forward to seeing everyone's entries for the Christmas contest. Guidelines for the 2013 Christmas contest will be announced later this month. 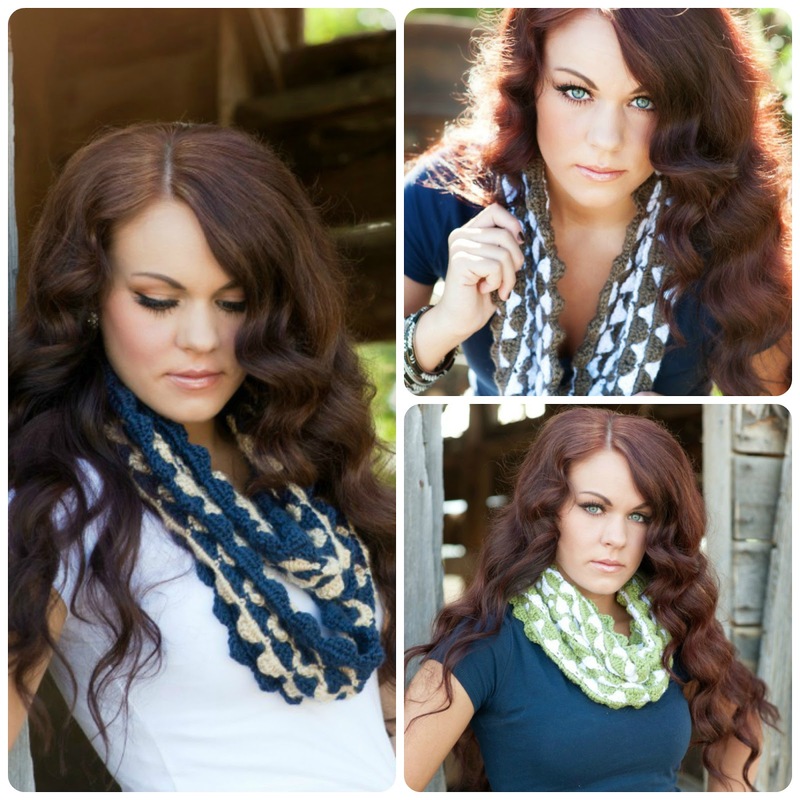 I am so excited to finally be able to release this pattern for you! I was just waiting on the photos and man oh man are they beautiful :) A huge thank you to Nicole Nelson Photography and my friend Chey for such amazing shots! You gals are the best. Thank you to everyone who helped toss around names. 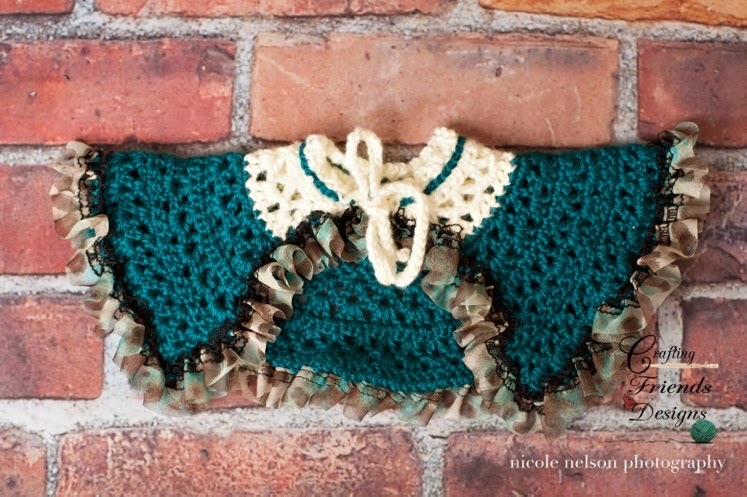 Janicea Stinchcomb from Stitches of love by Janicea came up with Mountain Lace and won a free copy of the pattern. 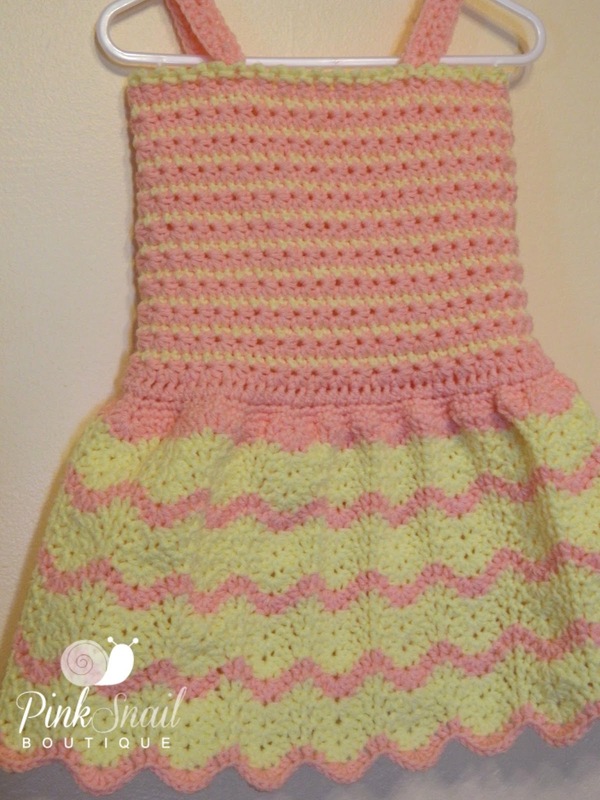 This pattern is worked continuously with a twist and can easily be made as shot/long or thin/wide as you prefer. 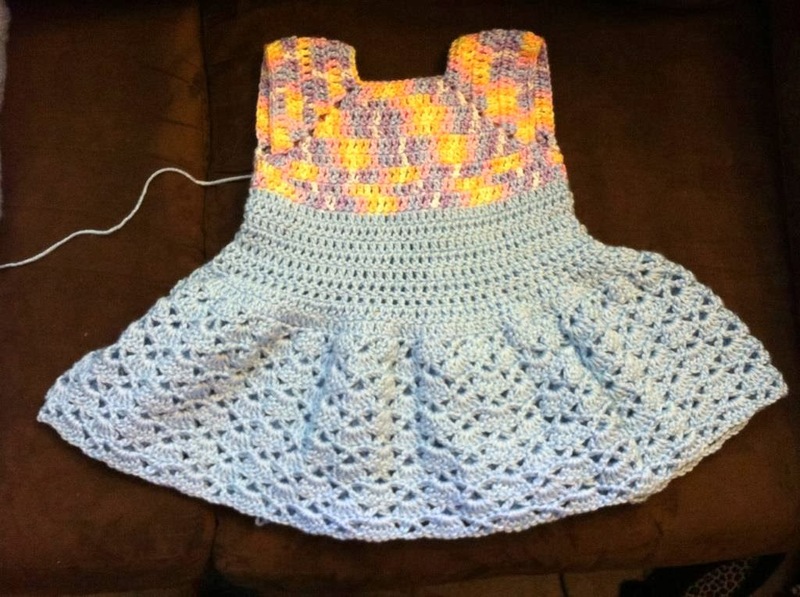 There are photos to help with stitch placement and I do offer support if needed. 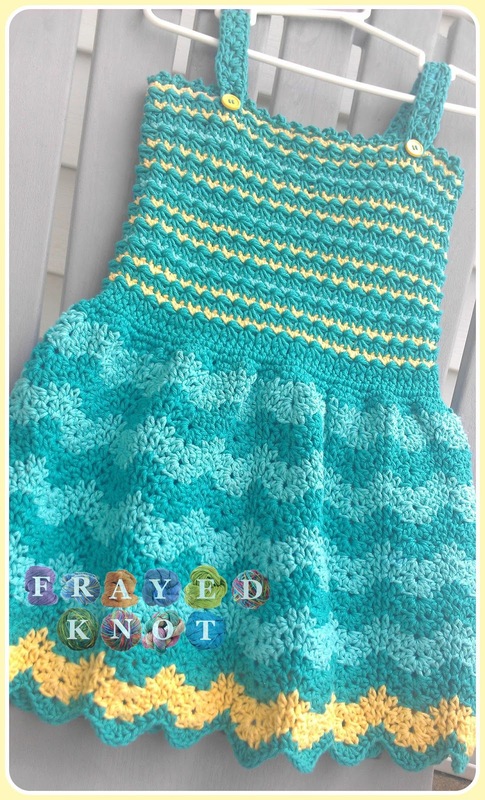 The color combinations are endless and the results I've seen from others are wonderful. To get your copy at the Release Sale price, hop on over to Mtn Lace Infinity Scarf on Ravelry and add it to your cart. A $2 discount will automatically be given at checkout. This set belongs to Francie Christensen of The Mad Capper. 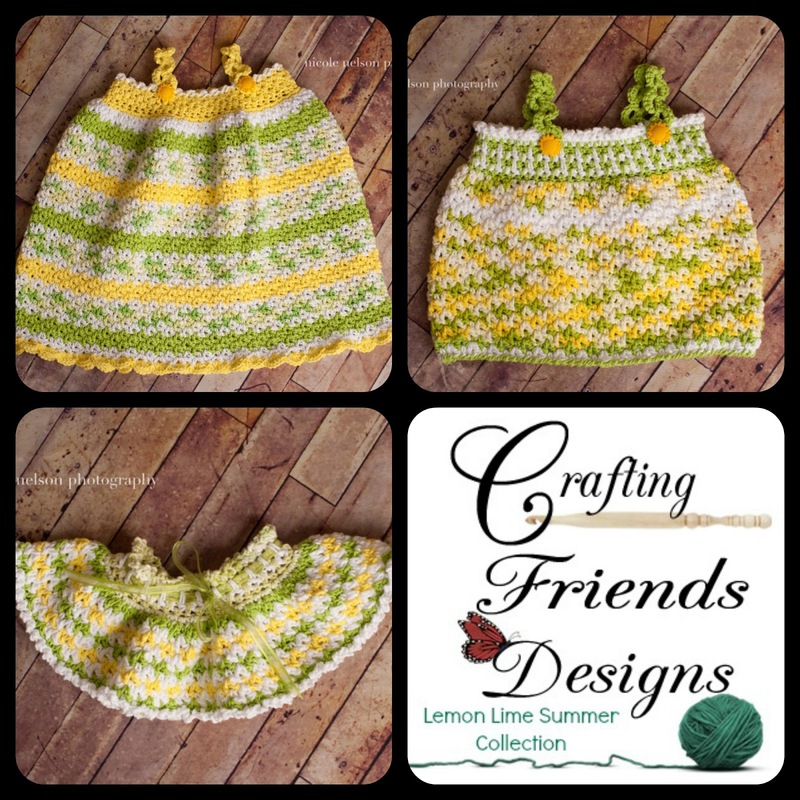 She used the Kate Baby Bonnet by Crochet by Jennifer to accessorize with my Lemon Lime Skirt. 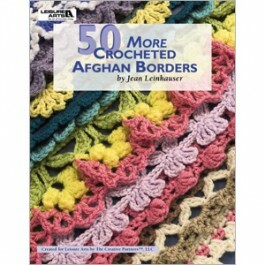 The yarn is amazing and I want to run out and get me some now! There are only a few more days to get your entries in. 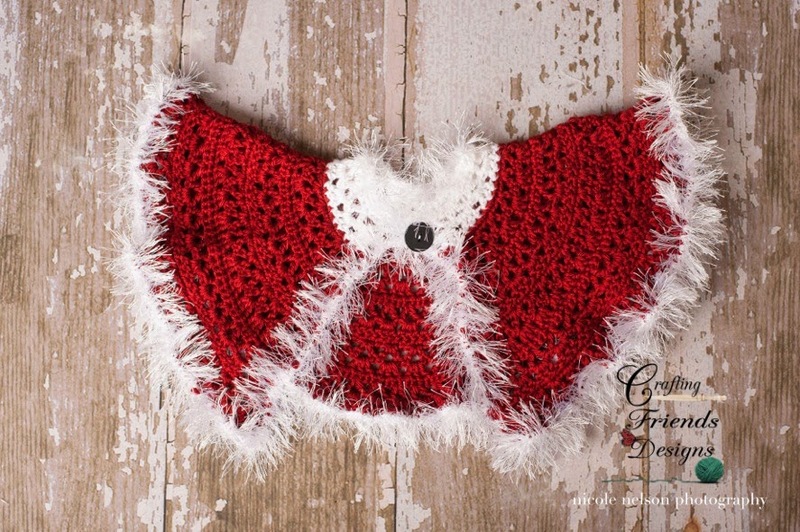 If you don't have time to get in on this one, go ahead and start your project for the Christmas contest. I will begin accepting entries for that one in October and it will end the last day of November so the winner may have time to use their prize. A big thank you to those who have entered the Fall contest. Especially since I dropped the ball. I appreciate your work and love seeing the different combinations you have used. Here is the first of the entries I have received. This is from Maria Call. She used my Ribbon & Lace Infant Dress and accessorized with the Flower Garland Headband by 5packs Crochet. Keep your eyes open for the next entry. and Leigh Trinh. 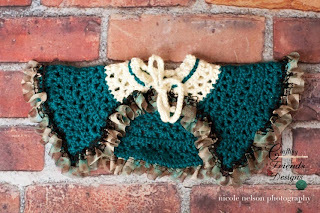 Please email me at craftingfriends4you@yahoo.com with your Ravelry Id or just letting me know you won and I will gift the pattern to you through Ravelry. Thank you to everyone who entered to receive a pre-release copy of my Lemon Lime Summer Collection. I will be doing this again on my next pattern release coming up in a week, so keep your eyes open for that post. 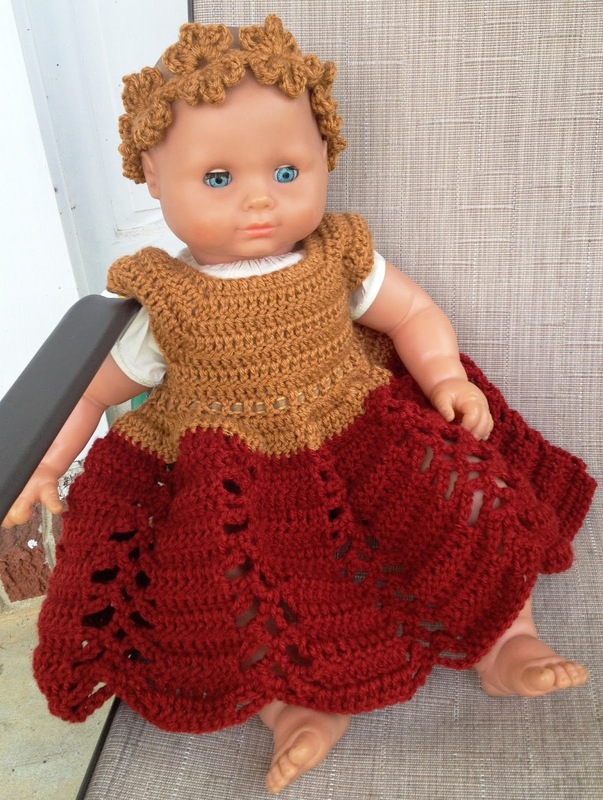 Here are the links to the pattern for those who were waiting. The pattern will be on sale for 1/2 price through the end of the month :) The discount on Ravelry will automatically be given at checkout. Coupon code is not required. I finally did it!!! 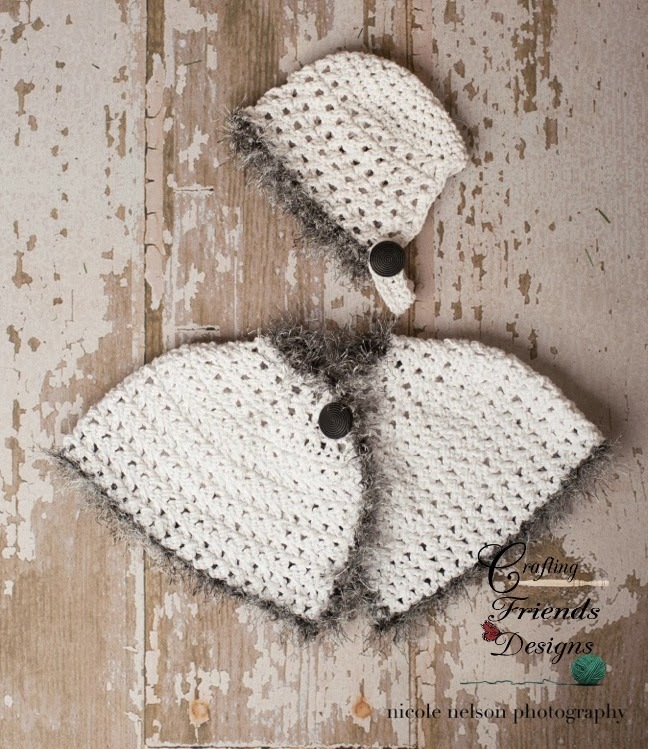 This is the first pattern that I have been able to keep under wraps until it was ready for release :) Usually, I get so excited about my new designs that I can't wait to share photos with everyone and considering my lack of photo talent - it's not really a good thing. My Lemon Lime Summer Collection will be released on Monday July 29th. I am doing something different this time and releasing all sizes and all variations in the same pattern. It is something that has been asked for and because it really is a simple pattern with just a few variations, it was easy to do. 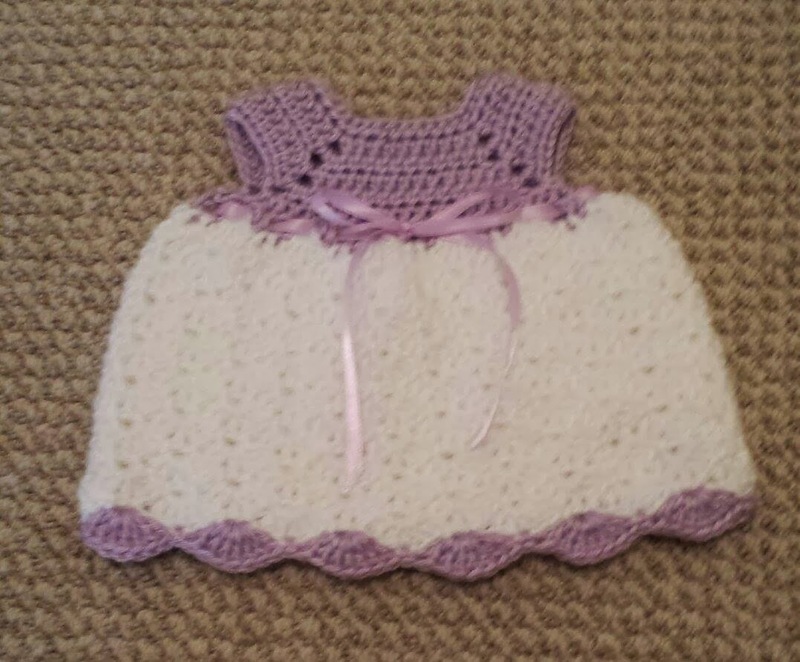 This collection includes a Skirt, Dress and Summer Top with instructions for sizes Newborn - Child's 12. I hesitate slightly on the dresses for the older kids because they can become heavy from the amount of yarn required, but I have it as an option. 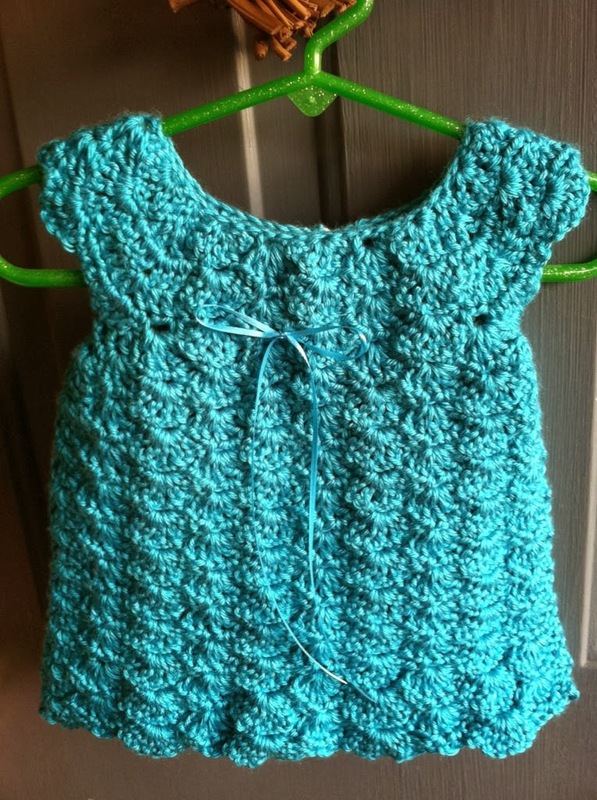 Something else I haven't usually done with a pattern release is give a copy away. Well, we are going to change that with this release :) From now until Sunday night, you can enter my Giveaway for a chance to win your copy. I will draw 1 winner for every 10 fans who enter. It's been a while since I've had a good run of inspiration. Yes, I've been able to design a few things here and there, but I finally feel like I'm back in the groove of things. Now, if there were more hours in the day to actually work them all up. 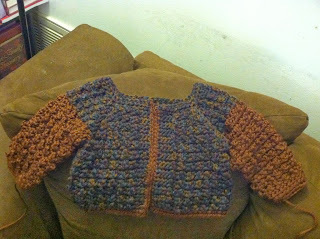 Right now, I have 3 patterns being tested and I'm doing something slightly different with them. 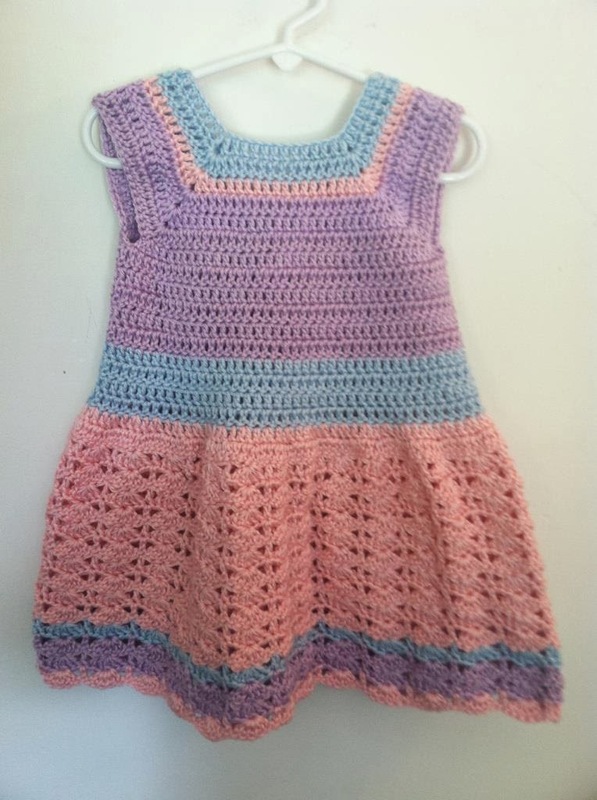 I will be releasing these as a Lemon Lime Summer Collection and including all sizes (newborn - childs 12) in 1 release and it will include directions for a Summer Top, Skirt and Dress. I'm really excited about this. 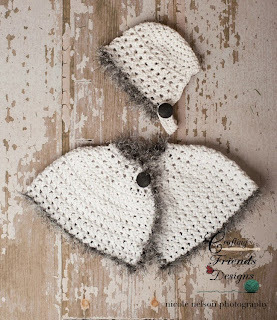 Normally, I would seperate them out and release them by Infant, Toddler and Child with a discount for purchasing all 3. I asked Crafting Friends fans on Face Book how they would like to purchase a pattern and gave a couple of options. This is what was requested the most. With that many sizes and items, it could potentially be confusing to others. I'm hoping with the help of my fabulous pattern testers that we have made it the best it can be and worked out all the kinks along the way so that it will be easy to follow now. Keep an eye out over the next week for it's release. You won't want to miss this one! Our next contest is about to begin. 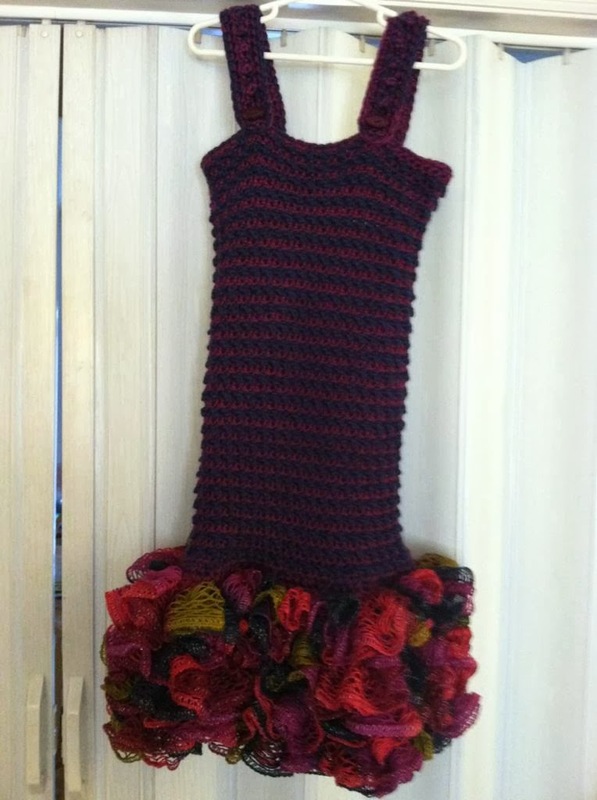 The theme for this one is "All Things Fall"
What you need to do is make one of my dresses in Autumn colors/embelishments and Also an accessory from another designer to make it a set. 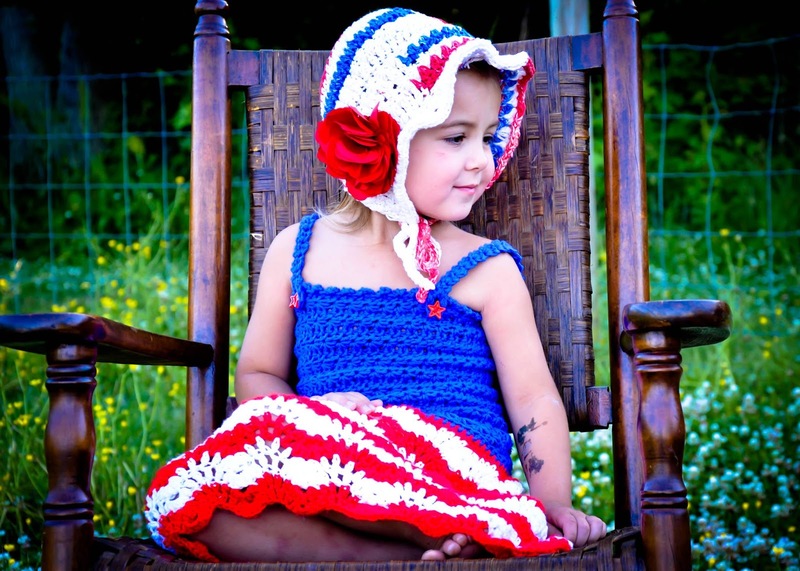 Examples are a hat, bonnet, leggings, shoes, headbands, blanket...etc. 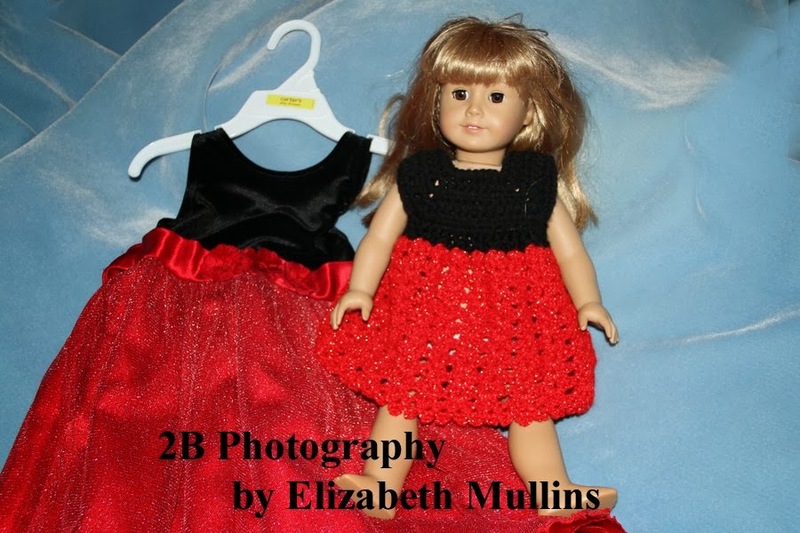 You will need to list the name of the patterns used, The designer and a link to the pattern when submitting your photo. You do not need to have the items modeled. All entries need to be submitted by August 24th 2013. Please email them to craftingfriends4you@yahoo.com with Fall Contest written in the subject line. A random group of judges will select the set they like the best. The winner will be announced on Sept 1, 2013 and will receive their choice of $25 to use on Etsy, Ravelry or at Michaels. First, I want to thank the ladies who entered this contest. It was fun to see the different colors used and combination of patterns. I loved all of them! 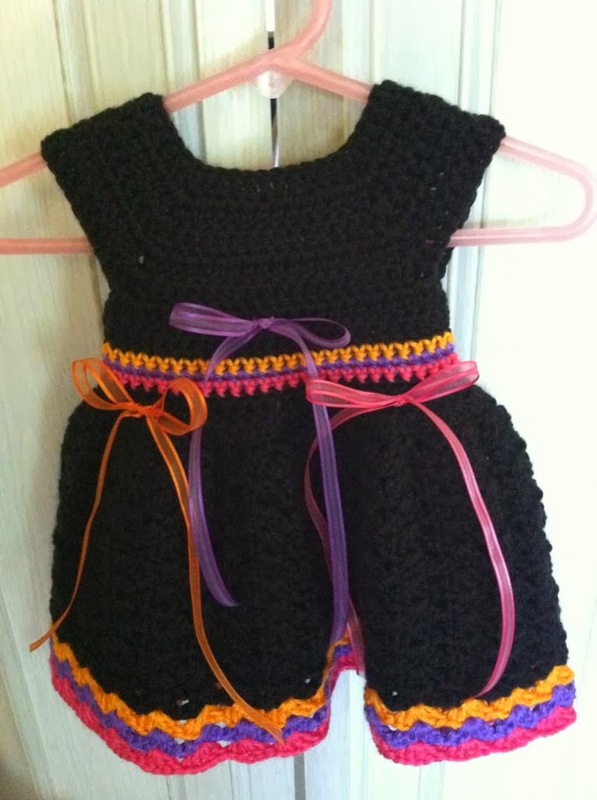 I know there were a few others who had planned on entering and I actually saw the dresses they made but for various reasons, they were unable to make the remainder of the items needed to enter. Since this was the first contest being held, I knew that participation might be low but I am hoping that it will keep getting bigger as they keep going. Also, Thank you to the ladies who helped judge. Lisa of Loops of Love, Crystal from Crystalized Designs, and Renee from Dugans Girls. 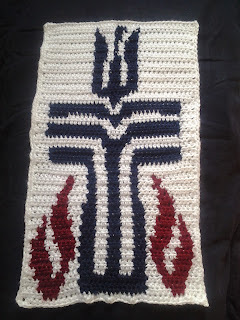 If you have a moment, go check out their Face Book pages to see some wonderful work. 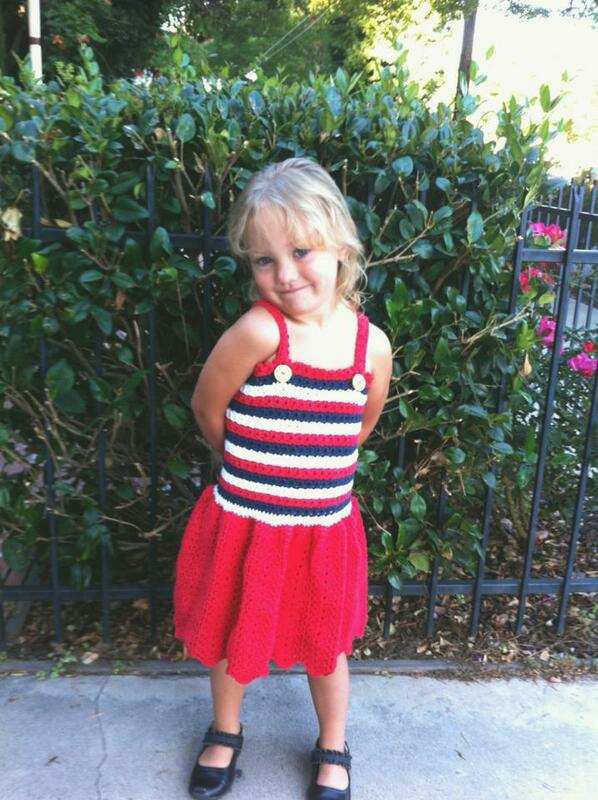 Now... Congratulations to Kendra McGill of TwistedLoopDesigns for winning my 2013 Independence Day Contest! Kendra chose to receive $25 to spend on Ravelry. 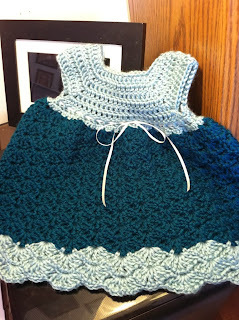 Each of the other entrants will receive a pattern of choice from my shop. Happy Independence Day my friends! I hope you all have a wonderful Holiday and weekend of fun. Please stay safe. 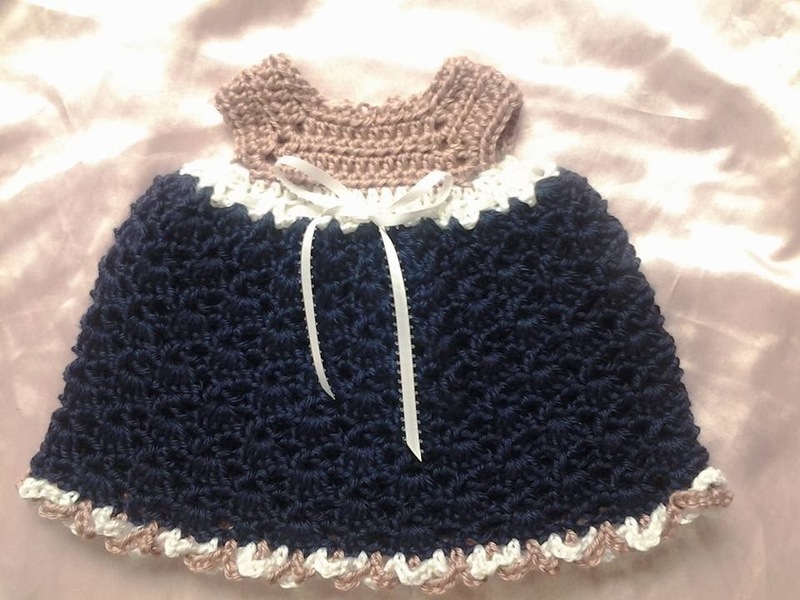 We have another cute little model for our 4th contest entry. 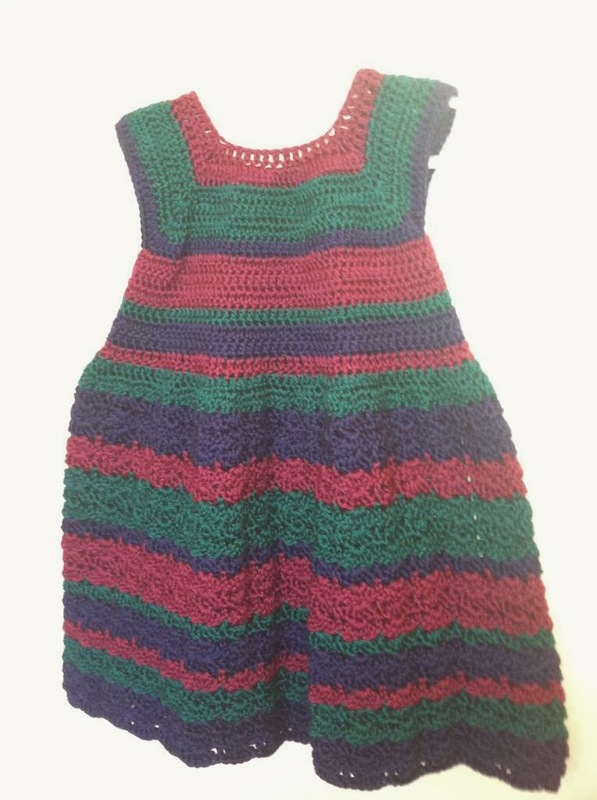 This is Stars & Stripes Toddler Sundress pattern. Now, Check out how clever Michelle Wulf was...She used the strap pattern from the dress to make her daughter a bracelet, necklace and headband. The stars pattern is from My Merry Messy Life. 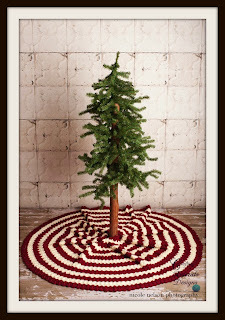 Only a few more days to get your entries in for a chance to win $25 to Etsy, Michaels or Ravelry. 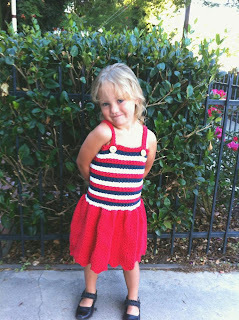 My Stars & Stripes Toddler Sundress pattern has been released and is now available for Instant download. 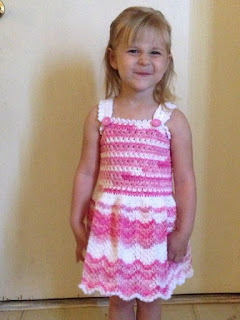 Check out some of the cute color combos my fabulous testers used - and my Thanks to them for sharing some adorable models! How fun are all those colors!!! 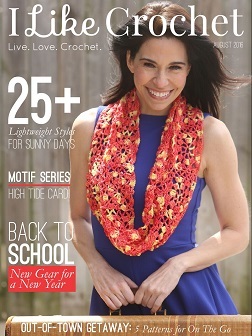 I am leaving the pattern on sale for $2.99 through the 4th of July. 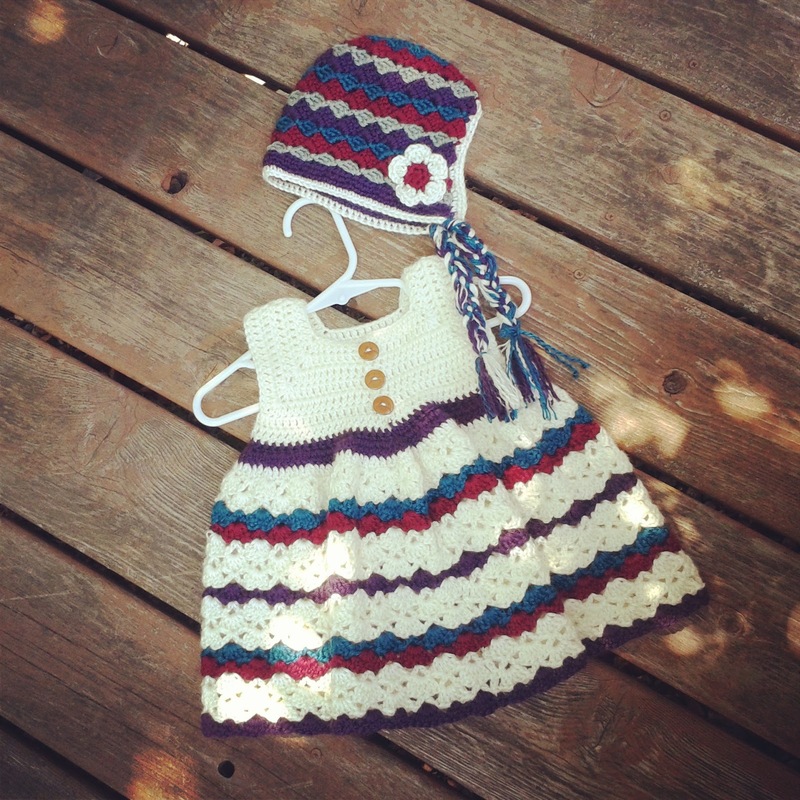 The discount on Ravelry will automatically be given at checkout. No coupon code needed.